Currently representing Angmering and Findon on West Sussex County Council, Deborah has lived in the heart of the area with her husband for over twenty years and has always taken an active interest in the local community. Having qualified as an accountant at a top London practice, Deborah pursued a financial career at a number of blue-chip organisations and was appointed Finance Director of SEEBOARD Energy in 2001, the first female director of the Group. 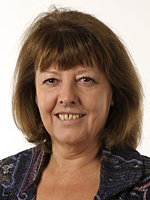 Deborah has a wealth of experience of voluntary public service. She has served on several County Council committees, latterly as Chairman of the Performance and Finance Select Committee and as Cabinet Member championed local business and the protection of our environment. Currently, she is Cabinet Member for Environment. Deborah was a founding member of the South Downs National Park Authority helping to shape its early years.